Heja Lodge is situated east of Windhoek, +/-1900 meter above sea level, and is enclosed by the Auas Mountains in the south and the Khomas Hochland and Eros mountains to the north and west. Heja is the ideal starting point for your visit to Namibia as it is the closest game lodge to Windhoek, and is ideally situated in the middle between Windhoek and Hosea Kutako International Airport. 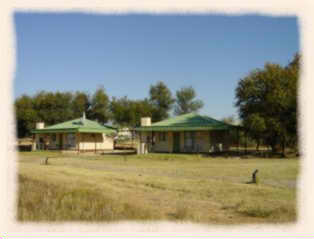 The lodge overlooks the Hoffnung dam which is the oldest man-made lake in Namibia. A large amount of birds is found on the lodge and over 2500 head from 13 species of game roam freely on the 20000 ha farm and surroundings. 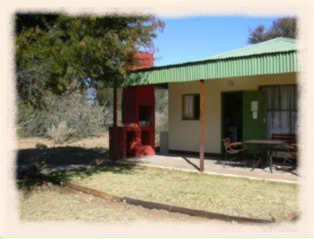 Establishment have 26 en-suite rooms with air-condition and satellite TV. A la carte restaurant offers a wide variety of dishes with game dishes being specialty. Establishment also has conference facilities and offer catering for functions for up to 300 people. Your hosts at Heja Game Lodge are the Dresselhaus family which will do their best to make your visit an unforgettable experience. 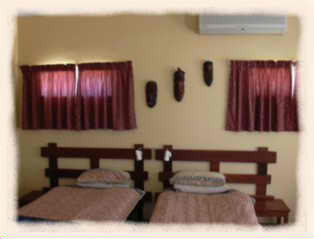 The lodge has a total of 20 standard rooms and 6 luxury bungalows. Come relax away from the everyday rush of the city. Heja has a restaurant facilities even if you just want to break away for the day. You will find that activities on offer, will suite almost every need that you might have. Heja Lodge can accommodate any function from a conference to a banquet. Up to 500 people can be seated in a variety of configurations. It's the ideal venue for weddings and parties and a good choice for specialty functions when you are looking to offer something unusual. There is a dance floor, and fashion ramps can be assembled. The Heja Lodge team will gladly help you organize just about anything - planning and booking conference itineraries, doing transfers, organizing day tours, excursions, sundowner trips, themed events or team building activities. Even if you have an unusual request, hosts will do their best to accommodate you!